Congress said it would spend 6% of GDP on education, building new colleges, and providing scholarships. 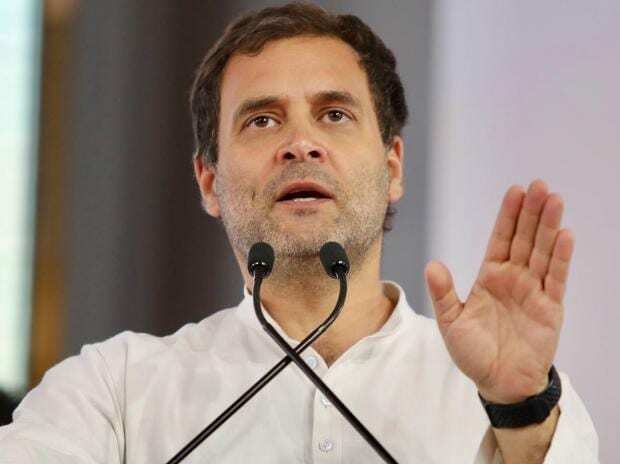 Congress President Rahul Gandhi said that if the United Progressive Alliance (UPA) comes to power, they would spend six per cent of the gross domestic product (GDP) on education, building new colleges, universities and institutions and providing scholarships. While addressing a rally at Wanaparthy under Nagarkurnool Lok Sabha constituency, he also said the money proposed to be given to the poor under ‘Nyuntam Aay Yojana’ (NYAY) scheme would be deposited in the accounts of women. “This money would go to the bank account of the woman in the family. Every month, this money will directly go to the bank accounts of women. Crores of women will get power and India would stand on its own,” he said. Alleging a “partnership” between the TRS (Telangana Rashtra Samiti headed by Chief Minister K Chandrasekhar Rao) and BJP, he said Rao never criticised the BJP-led government and supported it on various issues.